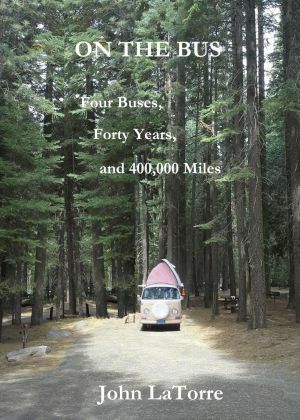 With two exceptions, books about Volkswagen buses seem to fall into three categories. First, there are the repair manuals that describe, in dry detail, the steps required to perform certain repairs. They are typically illustrated with black and- white photographs of perfectly clean engines being worked on by professional technicians dressed in impossibly spotless smocks. Then there are the automotive histories. Some of them give the company's history from its somewhat suspect origins in Nazi Germany to its present status as one of the world's greatest carmakers. Others, written mostly for the collectors, enumerate the specifications of the various models down the years. If these have pictures, they are there to illustrate the differences between one model and the next, from window shapes to door handles to suspensions to paint schemes, in obsessive detail. Finally, you have the books written by devotees who enthuse about the car's mystique and how it changed transportation forever and so on. These books are often illustrated profusely with full-color pictures of faultless restorations, wacky paint jobs, and snapshots taken at any of a number of conventions and meetings of similar Volkwagen devotees. It's obvious that the writers love their buses beyond all reason. The first exception to these three genres of books is John Muir's How to Keep Your Volkswagen Alive, a book so radical in its concept and execution that it deserves a chapter of its own, and it gets one in this book. It was written by an engineer who found much to love in the car, and much to disparage. He wanted to write a repair manual that could be used by anybody regardless of automotive training or mechanical ability and, for the most part, he succeeded. But his message was really about empowerment and self-reliance. It was more “know thyself” than “know thy car” and, in that sense, it was like no other repair book ever written. Until it came out, there was nothing quite like it. Now there are thousands of “Dummy” or “Idiot” self-help books written from the same perspective of the expert speaking to the novice. The second exception is this book. Frankly, I'm not sure what kind of a book this is. In parts, it's a travelogue, by somebody who doesn't particularly like to travel. It's a mechanic's log, from a non-mechanic who hates to get his hands dirty. And it's a history, from somebody who never had much interest in history. It might be best summed up as a coming-of-age story about a man whose life came to be shaped by a vehicle that he happened upon almost by chance. I guess you could say that I'm a fan of the Volkswagen bus. I've owned four of them, and logged a total of a close to a half a million miles driving them all over the United States, most recently in California and the American Southwest. I've come to admire the excellence of its engineering and the ruggedness of its construction (the latter of which I've tested on untold miles of undeveloped roads, or no roads at all), and the huge variety of uses it has been put to. There will be stories about that here in the book. At the same time, I've been frustrated by some of the shortcomings of that same design, and had my share of breakdowns on the road. There are stories of that, too. I've driven my buses hard and taken the consequences. If you're looking for a paean to the Transporter, this is not that book. With the obvious exception of the Muir book, most of the others have been written by people who have driven buses, sometimes for astounding distances, but may not have spent much time under the hood, so to speak. I have a different perspective. I've done just about every procedure in Muir's book, including dismantling engines down to the crankshaft and rebuilding them, not once but several times. Brake jobs? Done several. Wheel bearings? Ditto. Generator overhauls? Yup. Constant velocity joints? God, what a mess that was! Mufflers? More than I care to count. Tune-ups? Hundreds of them. Re-upholstering? Not much, but some. So you're reading a book by a man who has had a bit of dirt, grease, and experience under his fingernails. Although this book has been, in a sense, gestating for over forty years, the impetus for getting it done was a camping trip I took in my Toyota Sienna. Now the Sienna is a wonderful vehicle. It is everything the bus is not: mechanically reliable, steady on the highway, and easy to drive for long distances at freeway speeds in air-conditioned comfort. But I found that as a camper, it didn't hold a candle to the VW buses I've owned. I missed the spaciousness of the bus's interior, that pop-up top that gave me standing room, the numerous storage compartments, the double-size bed, the cooking and washing areas, and much more. My wife had largely given up camping, since the effort of setting up camp and breaking it down again had taken much of the fun out of it. I thought that the ease of camping with a Westfalia camper would be the way to get her back into it. As it turned out, I was wrong about that, but I re-discovered the fun of camping in the bus. If you suggested to me that what I was really enjoying was a re-discovery of the younger man that I had once been, I would not be inclined to argue with you. It's one thing to reminisce about the Good Old Days. It's another thing to re-explore them, but that was what I wanted to do. And the only way to do that was to buy another camper. In fact, I would buy a camper in some need of restoration, rebuild it, and write about the experience! If all went well, I could own a Westfalia camper without spending a ton of money, have some stories to tell, and even make a buck or two off the process. It is of such harebrained schemes that adventures are made. What follows are some experiences I've had with the bus I own now and its three predecessors, interspersed with ruminations on the history of the Transporter and other topics of interest to those who also admire this unique vehicle. I've tried to tell the truth to the best of my memory, but memory is a slippery beast, and sometimes plays tricks. My latest bus has been reminding me of many things I'd forgotten: the smell of warm engine oil that seems to permeate every bus I've owned, the drone of the engine as the miles roll by and the bus sings its song of the road. Antoine de Saint-Exupèry talked about many of those things in the fine books he wrote on flying piston-engine airplanes in the 1930s, but the VW bus owner knows them firsthand. Saint-Exupèry also knew that the secret of flying in turbulence is to use lots of small, quick corrections instead of large, slow ones, and to beware of crosswinds. VW bus drivers know about that, too. Aviators and VW bus drivers have more in common than it appears at first glance, and it comes as no surprise to find how many hang glider pilots, instructors, and designers have owned a bus at some time or other. I was one of them. For information on ordering this book, please click here.